Missouri Gov. Eric Greitens (R) has added a new lawyer to his defense team amid an expanding criminal probe, KMOV reported Monday. The addition of former circuit judge Jack Garvey comes after reports that St. Louis Circuit Attorney Kim Gardner has convened a grand jury. Garvey’s hiring is a possible sign that Greitens is preparing for a drawn-out investigation. Gardner launched the probe last month after allegations emerged that Greitens blackmailed a woman with whom he carried out an extramarital affair. TPM reported that the woman also alleged Greitens slapped her. Last week, two investigators with Gardner’s office reportedly questioned lawmakers at the Capitol. 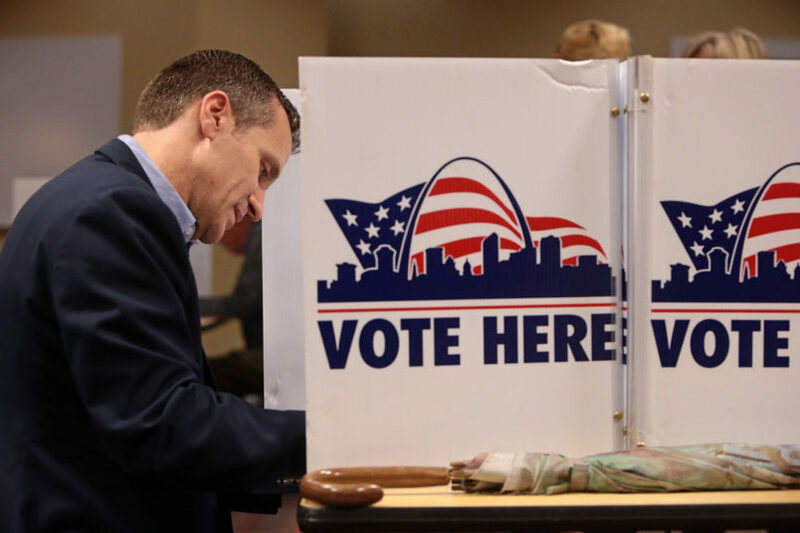 One said the investigators had asked about Greitens’ use of so-called “dark money” organizations that don’t disclose their donors, suggesting the probe may have expanded beyond its original focus. Greitens, who was elected in 2016, has admitted to carrying out the 2015 relationship with the woman, whose name has not been made public. He has denied the blackmail and slapping allegations. House Speaker Todd Richardson, House Minority Leader Gail McCann Beatty, Republican State Rep. Nate Walker, and Democratic State Sen. Maria Chappelle-Nadal are among those who have said they’ve been contacted by investigators.